Better known as Charlotte’s Web, Charlotte’s Web Hemp is one of the world’s best-known hemp brands thanks to its life-changing impact on Charlotte Figi. The young girl suffered from Dravet Syndrome and had hundreds of seizures a week. She was given CBD hemp oil, and it almost immediately reduced her seizures. Within a short period, she only had a couple of seizures per month. The oil came from a Colorado-grown plant which was renamed Charlotte’s Web in her honor. Who Are Charlotte’s Web Hemp? The Stanley Brothers founded Charlotte’s Web Hemp. After footage emerged of Charlotte’s recovery (plus countless other videos showing the positive impact of hemp on seizures), the brothers (there are seven of them) began their mission to ensure hundreds of pediatric epilepsy patients received their medicine. When federal legislation changed in 2014, it was possible for the brothers to expand their enterprise outside of Colorado. 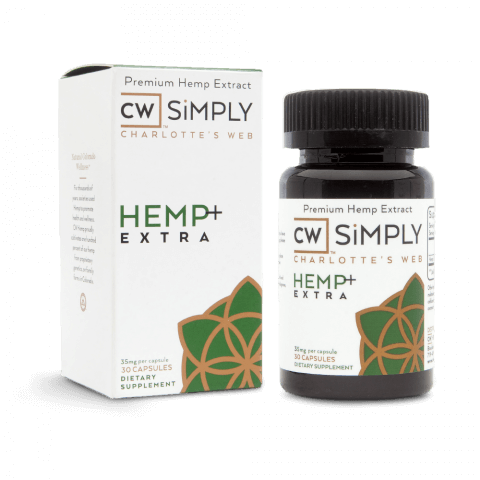 Today, Charlotte’s Web Hemp markets itself as the ‘World’s Most Trusted Hemp Extract’ but is it the real deal or just the beneficiary of hype? The ‘basic’ Everyday range contains 10mg of hemp extract per 1ml serving, and all versions come in Olive Oil or Mint Chocolate flavor. There are 30ml and 100ml bottles. Everyday Plus is more than double the strength of the basic version, and you get 25mg of hemp extract per 1ml. Everyday Advanced is up to 8 times stronger than the basic version and offers 50mg of hemp extract per 1ml. According to the company, you should take 1ml of the oil per day for the best results. Each bottle comes with a dropper; the 30ml bottle has a 0.5ml dropper while the 100ml bottle has a 1ml dropper. You can drop it under your tongue or add it to salad, coffee or any other food or drink. It’s clear that Charlotte’s Web Hemp is more than just hype as its website is laden with positive testimonials. What surprised us the most was the sheer range of the testimonials in terms of how Everyday Oils helped them. For example, it helped people sleep better, reduce their pain, improve their mood, reduce anxiety, and reduce inflammation. Charlotte’s Web Hemp’s CBD oil was even described as ‘life-changing’ by some customers. What we found was that the oils worked extremely quickly. Although the Everyday Advanced Hemp Oil may seem expensive, it is significantly cheaper than prescription medication in the medium to long-term. While the Simply Hemp capsules have 15mg of hemp extract per serving, the Hemp + Extra capsules have 35mg. All you have to do is take one capsule once or twice a day depending on what you need CBD for. Charlotte’s Web Hemp takes great pains to point out that its capsules are better than CBD because they also contain a variety of additional cannabinoids. To say that these capsules are popular would be an understatement. One customer suffered from back pain for years, but after just three months of Hemp+ Extra, his pain was completely gone. The Simply Hemp capsules probably work best for anxiety, but the extra strong Hemp + Extra capsules appear to be ideal for chronic pain. 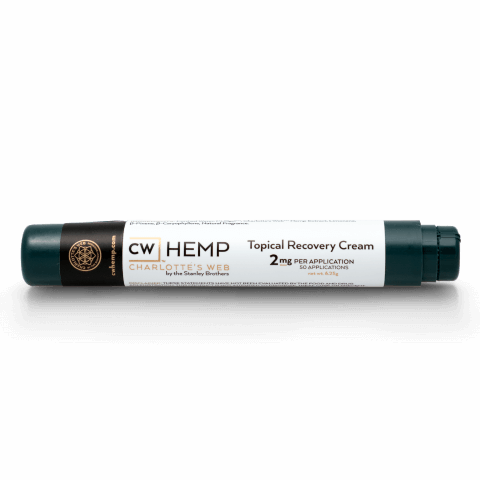 If you are in pain due to physical activity or need relief after a stressful day, Charlotte’s Web Hemp’s topical hemp oil gel pen is a convenient way to benefit from a CBD infusion. For $49.99, you receive 50 x 2mg of hemp extract applications. All you need to do is rub it on your preferred area. Sore shoulder after tennis? Rub it with the pen for rapid relief. We liked the smell of the gel, and it is an effective way to ease muscular soreness after exercise. It is ideal for minor training injuries, but it isn’t designed for severe strains. It is best used by athletes because the capsules are a better ‘on the go’ option. Where Can I Buy the Charlotte’s Web Hemp Range? The popularity of Charlotte’s Web Hemp means you can purchase it from a surprising number of websites. For United States customers, your best bet is to stick with the Official Charlotte’s Web Hemp website. If you are a UK customer, there are several reputable sites including CBD Oils UK. It is also possible to locate Charlotte’s Web Hemp suppliers. After our experience with the range of Charlotte’s Web Hemp products, we are in no doubt that this company is the real deal. As well as helping people with the usual list of symptoms such as chronic pain, depression, and anxiety, Joel Stanley is adamant that his company’s products can do much more. The world has already seen what CBD from the Charlotte’s Web strain can do for people suffering from seizures. Joel also believes that hemp is capable of preventing Alzheimer’s, Parkinson’s and dementia and is keen to stress that he intends to continue consuming hemp on a daily basis. The Stanley Brothers are using their fame to spread the word about the medical benefits of hemp. Their foundation, The Realm of Caring, is dedicated to educating the public and legislators about the benefits of cannabinoids; we wish them luck. Want to learn more about CBD oil? Check out how some of the top brands rank on our comparison chart. CW was the first CBD oil i tried – and the only one since because it is so great!!! This is a very accurate article, take it from someone who has been using it for years! The topical cream by charlottes web has worked well for my psoriasis which i have severely suffered from for years. This is the only thing that has had such a dramatic ipact. This sounds like a great option for those who don’t want to get high..I love smoking pot and this is my go-to bud and has been for a very long time. However, I am soon to start cutting down on the amount I smoke for health reasons and wonder if this would be as helpful?? 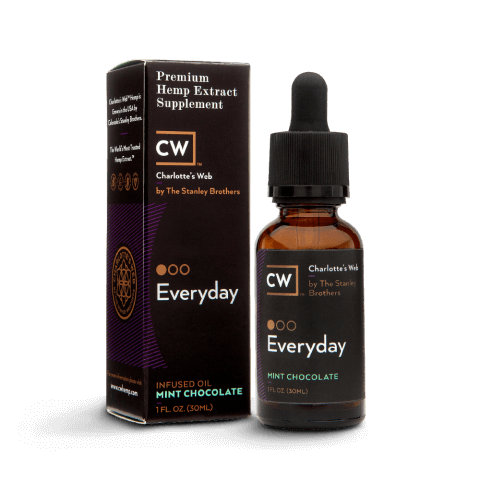 Charlotte's Web everyday CBD oil is fantastic! The Charlotte’s Web everyday CBD oil is fantastic! I use the Advanced hemp oil for my insomnia. Not every day, but during those times where I realy struggle as the effects can actually sometimes last a few days! If I am in bed by 9pm and cannot sleep, I just take a couple of drops of the oil and within the hour I am away for the night. It really helps clear my mind of worry. I take charlotte’s web CBD capsules twice a day and have done for 5 years. I have severe arthritis and this has only gotten worse as I have gotten older. At my worst I couldnt hold a pen, cook, or even put on socks and shoes. This CBD is fantastic, it eases the stress and pain and allows my body to move much more freely than it has in years. I would recommend this to anybody with my condition.